Beam Suntory has revealed a new direction for Courvoisier cognac, inspired by its history and Parisian heritage. Courvoisier’s roots in the French capital, which date back to the Paris Golden Age and the Grand Opening of the Eiffel Tower in 1889, take centre stage in the re-brand, reflecting the extravagance, discovery and celebration of the era. They are also the inspiration for a new global campaign, which further defines Courvoisier’s role in life’s greatest celebrations. 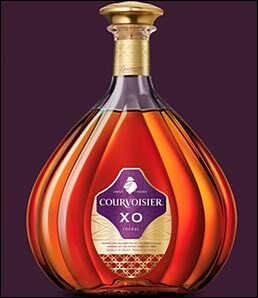 The striking new packaging for Courvoisier’s entire range will be available from September, beginning with 700ml and 1L bottles for VS, VSOP and XO followed by fractionals early next year. The distinctive new livery, which elevates the range within the cognac category, expresses the Courvoisier story with evocative cues from the Paris Golden Age. The elegant pattern is inspired by the unique architecture of the era, including the Eiffel Tower, and a decadent purple and champagne gold-embossed design contemporises the look and harnesses the elegance and extravagance of the time. The new packaging combines a blend of grand gestures and small detail to create a distinctive visual character for the brand. To achieve differentiation across the range from VS to VSOP and XO, the new signature pattern becomes more intricate as the age of the cognac increases. Beam Suntory’s director cognac, Jeanette Edwards comments: “Courvoisier has always been proud of its Parisian heritage. It represents the roots of our brand and defines what makes us unique in the category.